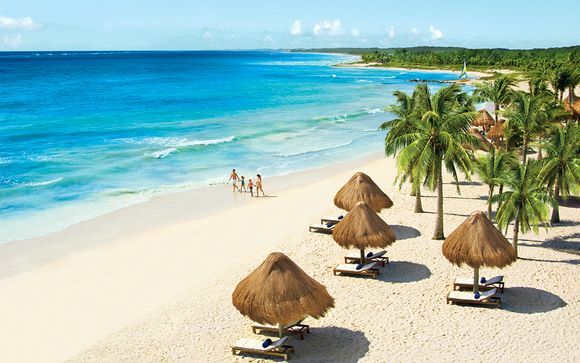 Holidays to Tulum up to -70% off To take advantage of these offers, join now for free! 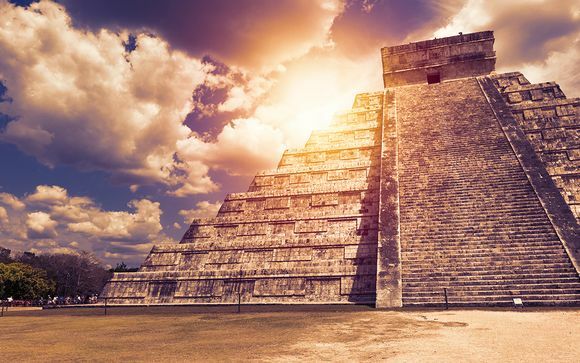 Enjoy luxury holidays to Tulum with Voyage Prive, and discover a Mexican hideaway, where beautiful scenery is combined with some intriguing historical sites; book online today. One of the last major settlements to be built by the Mayan civilisation, the walled city of Tulum stands on the edge of the Atlantic Ocean as one of Mexico's most stunning holiday spots. From the fascinating historical part of the city known as Zama, or City of Dawn, to the tropical beaches that are home to an abundance of wildlife, Tulum has the ability to intrigue and amaze in equal measure. With water almost as blue as the perfect skies above, and silky soft sand which will beckon you towards the beach, Tulum offers the epitome of relaxed seaside living. 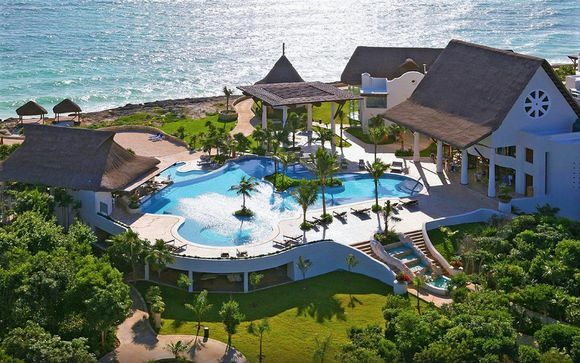 A range of luxury resorts line up along the Tulum coastline, offering you all the mod cons you could ask for, with restaurants, shops and bars in the midst of this sunny paradise. Whether you feel like lounging by the pool, or heading out for a round on the golf course, Tulum offers everything you could want from a beach getaway. Many of Tulum's beaches are situated along the Sian Ka'an Ecological Biosphere, which is a UNESCO World Heritage site, and also home to a fantastic array of sea and land creatures including sea turtles, dolphins and jaguars. Head out on a boat tour or take an overland safari into the swathes of coastal jungle to view this fabulous range of species for yourself. To the explorers who first embarked on the shoreline of Mexico, the impressive walled city of Tulum represented 'the New World'; an exciting new territory that was previously unchartered. It is almost unfair to label what remains of the old city as 'ruins', such is the magnificent aura they still possess. Marvel at the pyramid-like structures built without the help of modern machinery, and pose for a photo opportunity on one of the expertly guided multi-lingual tours. Tulum hosts some of the only examples of Mayan architecture that can be found right next to the beach, so why not head on down for a refreshing dip once your tour is done? Have a look through our range of exceptional discounts on luxury accommodation, with handpicked offers from all over the world by signing up to the website today.